But will you spend enough time in the rest of the building to make up for your tiny (and pricey) apartment, and does downtown Brooklyn really hold that much appeal? Our veteran renters—including RentHackr founder Zeb Dropkin, freelance writer Lambeth Hochwald, and BrickUnderground’s own senior contributing editor, Lucy Cohen Blatter—weigh in for this week’s Take It or Leave It. Ready to rent? Check out our How to Rent Guide...and if the apartment you like requires a guarantor that you don’t have, see if the landlord accepts Insurent, a guarantor solution from one of BrickUnderground’s sponsors. 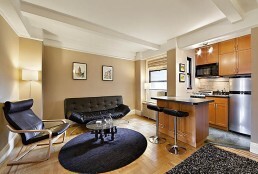 Buy Curious: Can $750k buy a Hell’s Kitchen 2-bed/jr-4 with w/d and outdoor space? 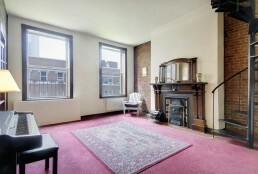 Post-$150-discount, is $2800 a month on target for this Upper West Side co-op?